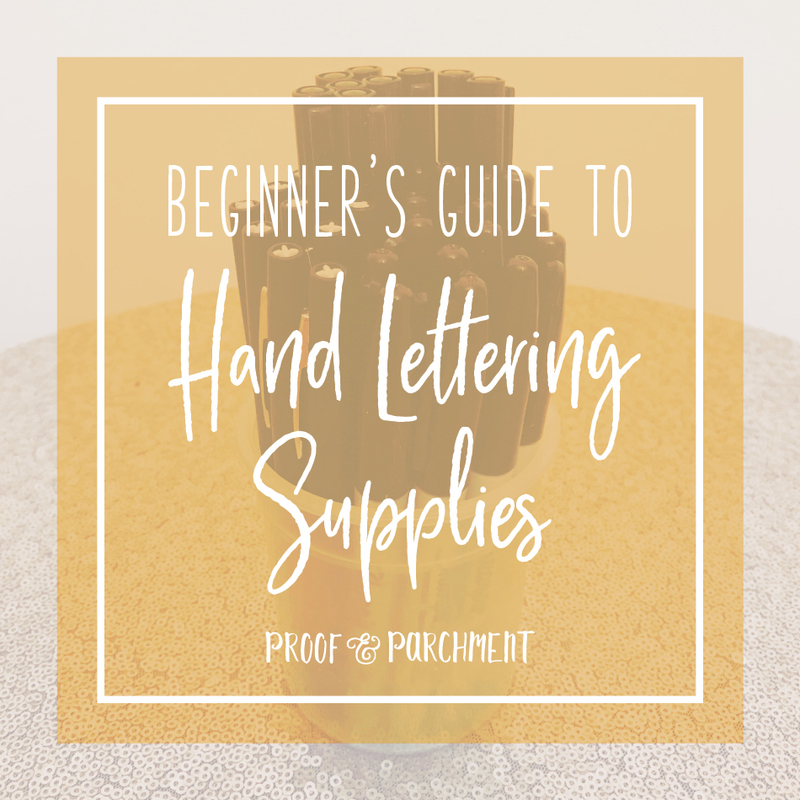 I’ve been writing this blog for awhile now and have shared plenty of information on hand lettering but never a specific guide to the supplies I use. 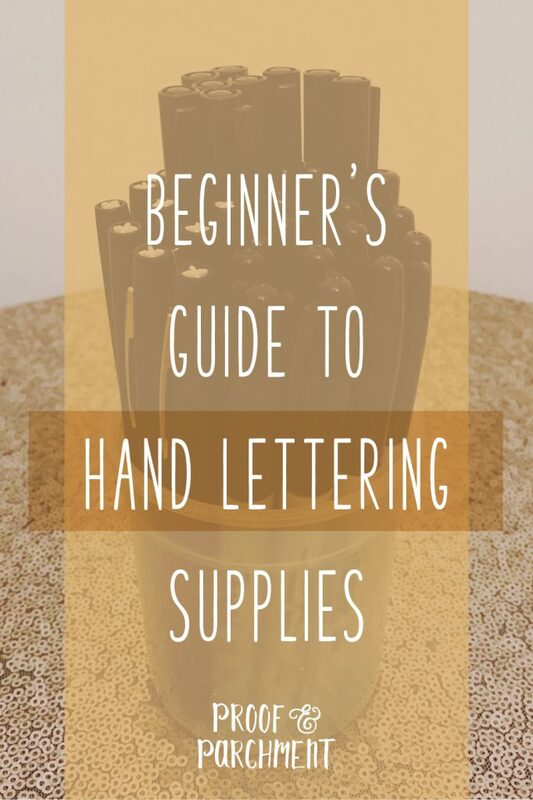 So I am going to start here with a beginner’s guide to hand lettering supplies and will add new posts with more advanced supplies in the future. 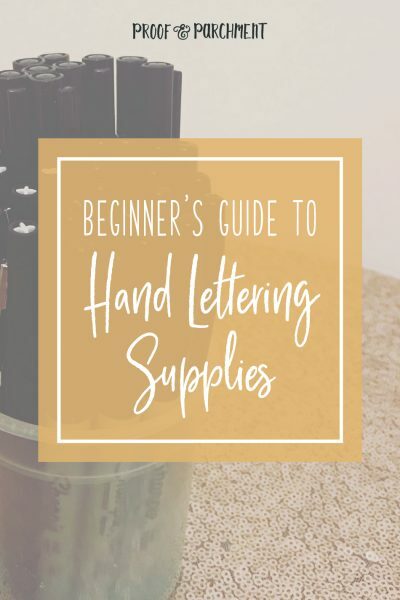 If you are interested in what I’ve shared in the past I have a post on hand lettering resources here, plus all of my other hand lettering blog posts are here. 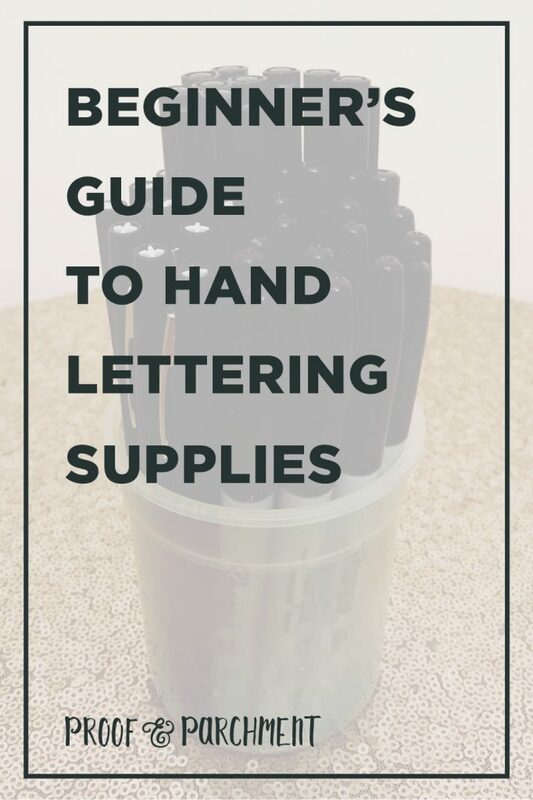 I have tried & tested plenty of different pens and markers for hand lettering, but these are the ones I’ve used the longest and always have on stock. 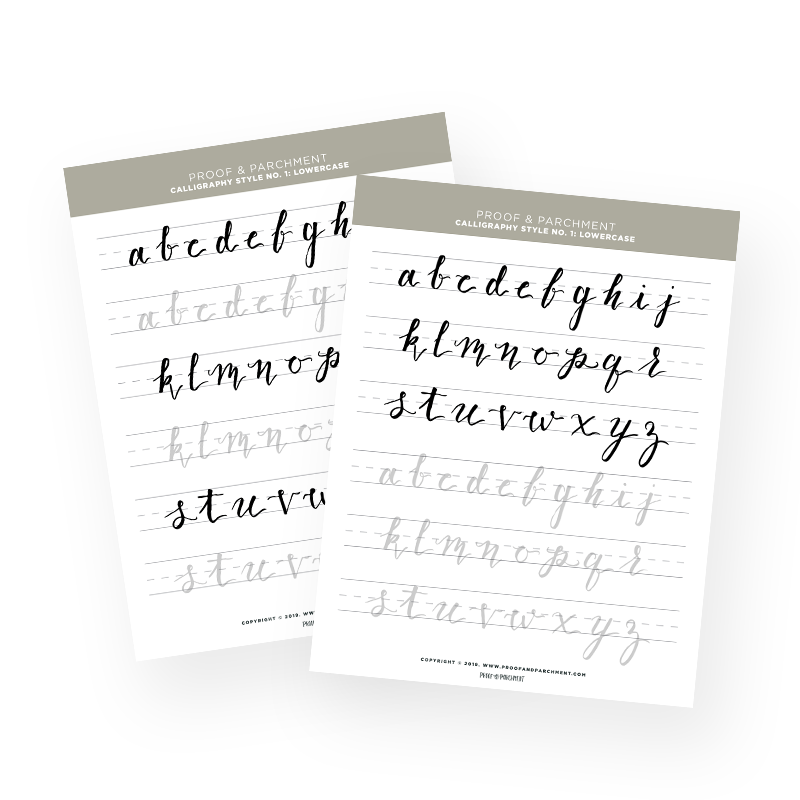 They also offer a variety of styles and widths so they are great for beginners. Black Sharpie Markers Fine Point: These are great for larger pieces especially if I need to fill in a lot of space with ink. Staedtler Triplus Fineliner: These are super fine point and great for detailed areas and smaller pieces. 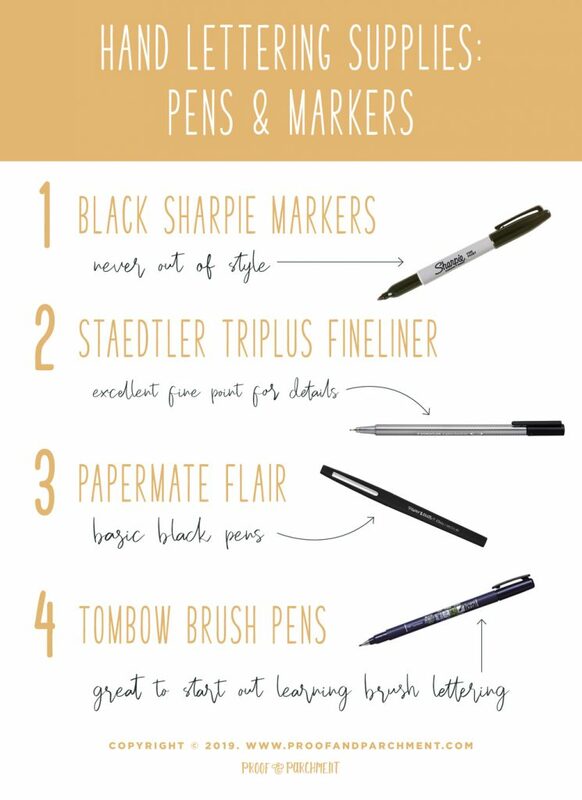 Papermate Flair: These are another staple and good all around black pen. These are not as fine as the Staedtler but not as thick as the Sharpie so they are a perfect in between pen! Tombow Brush Pens: These are great brush pens especially for beginners since they have hard and soft points. These brush pens are still my favorite after trying a bunch of others since I am able to have more control using the hard point ones. Tracing Paper: Depending on the project I love having tracing paper around. I am able to create refined lettering pieces using tracing paper over top of initial sketches. 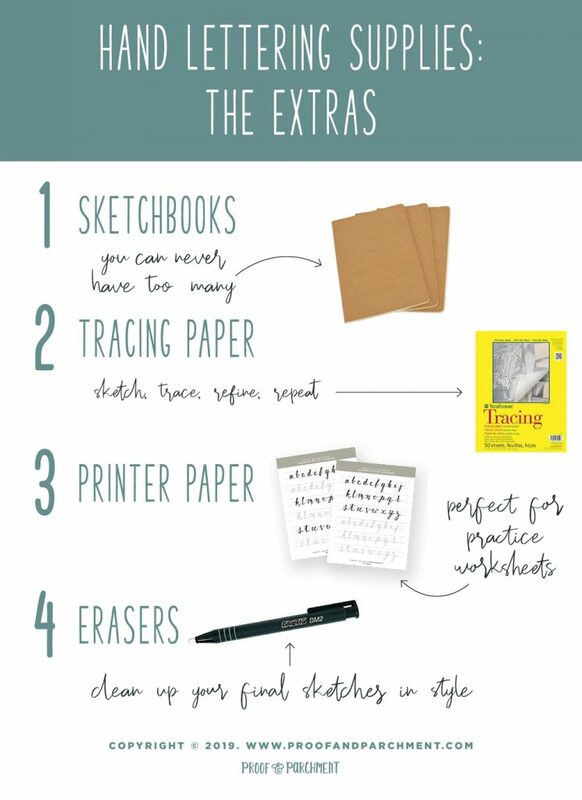 HP Printer Paper: This paper is the best for any worksheets that you want to print off and use for practice. I actually have an inkjet printer and still have no problem printing worksheets using it. I also love it for calligraphy ink practice too! Sketchbooks: I tend to pick up sketchbooks and notebooks any time I see one so I have a broad range of ones I use. However there are a few styles that are my favorite. I love soft covered ones that are stitched and can lie flat. 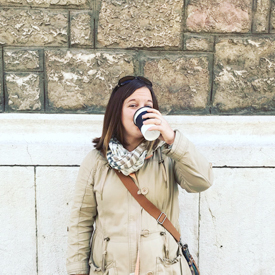 This style is great for when I travel. Which means I have them in various sizes for my purse and bags. Another style I like are spiral bound sketchbooks, basically for the same reason that they can lie flat. Erasers: I always have a few good erasers on hand for my lettering pieces. I like the typical block style for overall erasing. Plus I love the retractable eraser sticks for more targeted erasing. 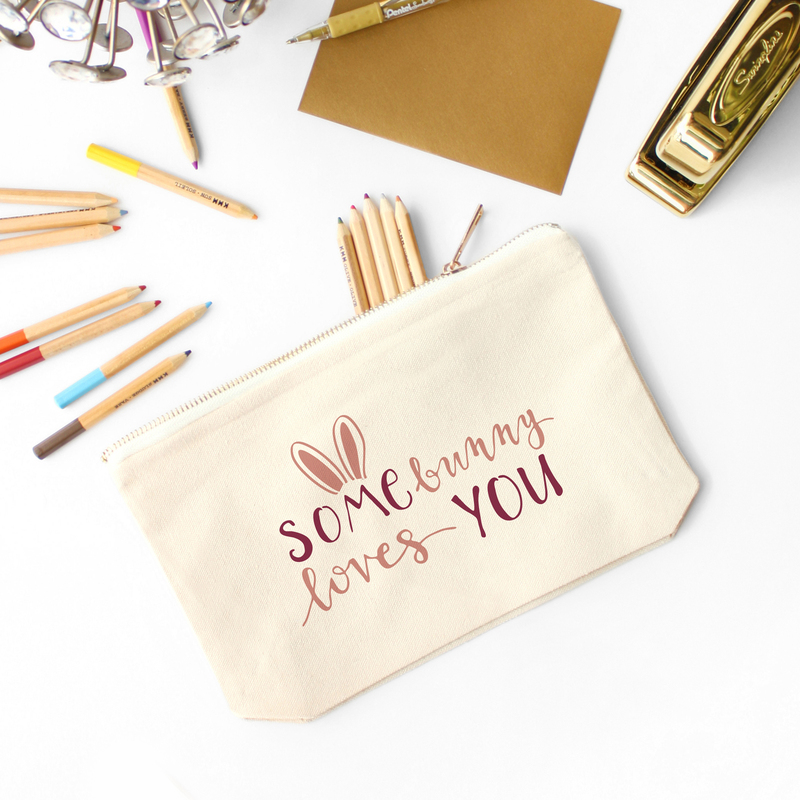 You can also find these supplies plus so many other fun items here on my favorites page! 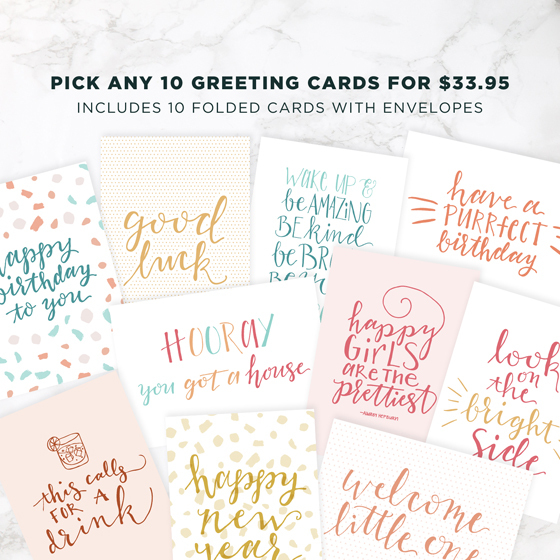 Check it out if you want to build up your art supply stash or find some new items to test out.